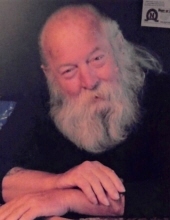 Robert M. “Moon” Mullen, 71, of Beatrice, passed away Saturday, January 12, 2019 at the Beatrice Community Hospital surrounded by his family. He was born on November 16, 1947 at Beatrice. He grew up in Beatrice and graduated from St. Joseph Catholic High School in 1966. He served in the U.S. Air Force from 1967 to 1971 as an aircraft mechanic and then in the Reserves until 1973. Following his military discharge he worked as a finisher at Store Kraft Manufacturing until his retirement. He married Tana Anderson on June 12, 2004. He was a former member of Geddes Thober Post #1077 of the Beatrice VFW. He was also a foster parent for 12 years. Moon enjoyed painting, woodworking, camping and being a campground host, Husker football, bowling, Harley-Davidsons, cooking – especially barbequing, and most important, his family. A Celebration of Life will be held at 10:30 A.M. on Thursday, January 17, 2019 at the Fox Funeral Home of Beatrice with Jon Palmquist officiating. Military rites will be conducted at the service by Bitting-Norman Post # 27 of the American Legion of Beatrice and the United States Air Force Honor Guard. Inurnment of the cremains will be at a later date. A guest register book will be available to sign on Wednesday from 10:00 A.M. to 8:00 P.M. with the family greeting relatives and friends from 6:00 P.M. to 7:30 P.M at Fox Funeral Home. A memorial has been established to the family for future designation. www.foxfuneralhome.net Fox Funeral Home of Beatrice is in charge of the arrangements. To send flowers or a remembrance gift to the family of Robert M. "Moon" Mullen, please visit our Tribute Store. "Email Address" would like to share the life celebration of Robert M. "Moon" Mullen. Click on the "link" to go to share a favorite memory or leave a condolence message for the family.